SANAA, Feb. 11 (YPA) – Egyptian Foreign Minister Sameh Shoukry has said that Turkey’s role in some countries, especially in Libya, is “very concerning ” and we do not accept that its extension to other countries in the African continent. “What is going on in Libya has a direct impact on Egypt,” Shoukry said, adding that securing the Egyptian-Libyan border costs a lot of effort from resources and lives. “We know very well what our interests are and we have the capacity to defend them,” he said. The Foreign Minister pointed out that there are countries intervene in Libya and provide support, weapons and resources to terrorist organizations. He confirmed that “State’s intelligence agencies monitor the support provided to the organizations”. “If there is credibility in the international community when conferences are held to combat and eliminate terrorism, they must confront and deal with these facts openly so that it does not become duplicative and perhaps a false political recruitment of these phenomena, ” Egyptian Foreign Minister added. 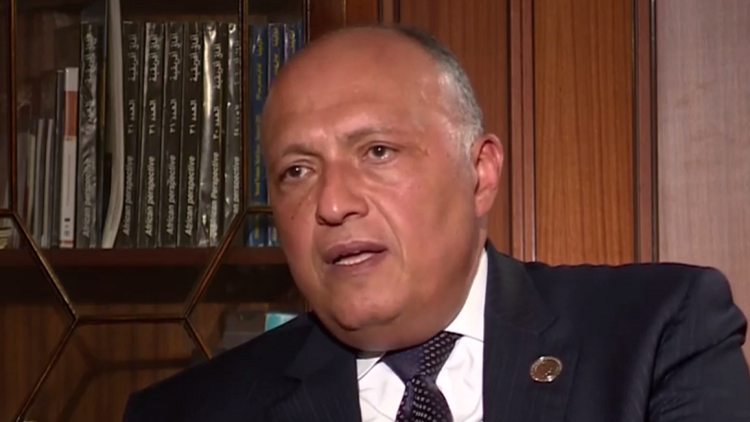 Shoukry stressed that Egypt’s motivation towards Africans always holds good and mutual cooperation, emphasizing that his country has one word and one direction, and that African integration closes the door to foreign ambitions.